With Halloween in a few short days and Thanksgiving just a month away, it is time that I break out my favorite pumpkin bar recipe to share with all of you! This is not just any pumpkin bar recipe, it is my Mom's famous recipe that I grew up on. She used to make these bars multiple times through out the Fall season, especially around Halloween and Thanksgiving time. I have to be honest that I am not a fan of pumpkin pie (I have tried to like it for years) but I love to mirror the flavors in other dessert forms. This recipe includes the perfect mix of pumpkin pie spice and fresh canned pumpkin smothered in the most amazing cream cheese frosting. As these were baking in the oven, the house was filled with the aroma of pumpkin spice and brought me right back to my childhood. My Mom used to bake these on a crisp Fall day, with the intent of feeding a crowd. I was either putting the last touches on my Halloween costume, or counting down the days until Thanksgiving break. These bars were always the hit at any party we brought them to, and that's how they quickly became my Mom's famous recipe. In my opinion, you can never go wrong with cream cheese frosting! It is so easy to make, and it takes this dessert to the next level. Once the pumpkin bars have cooled completely, I like to use an offset spatula to spread the frosting evenly across the pan of pumpkin bars. I recommend baking these on a sheet pan, so they are easy to transport if you are taking them to an event and they yield at least two to three dozen bars (depending on how you cut them). I hope you enjoy this recipe as much as our family does this Fall season! Heat oven to 350 degrees. Grease and flour a 13x18 sheet pan. Mix all of the bar ingredients together until well incorporated. Pour the batter onto the greased sheet pan and bake for 15-20 minutes, or until a tooth pick comes out clean. Set on a wire rack and let the bars cool completely. 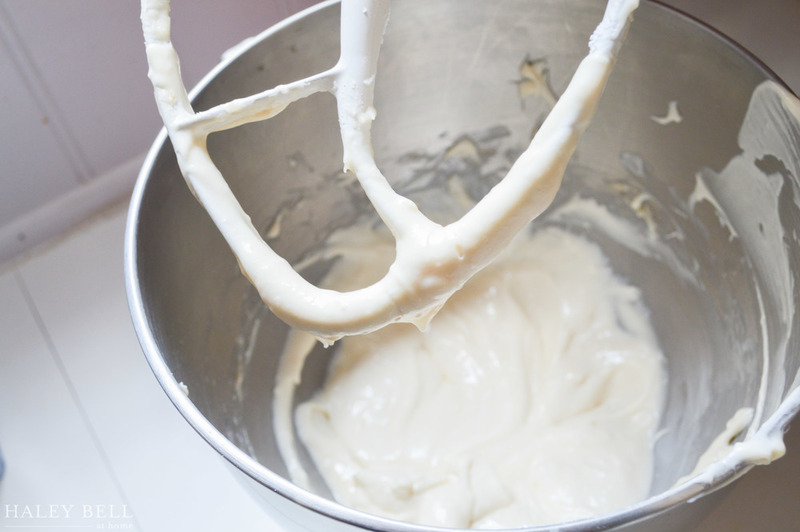 To make the frosting, mix the cream cheese and butter together. Combine with the other ingredients and mix well. Spread the frosting over the cooled bars with an offset spatula. Cut the bars into rectangles and enjoy!